03/14/19 - Update from the Field: Yellowstone Begins Capture! TAKE ACTION! 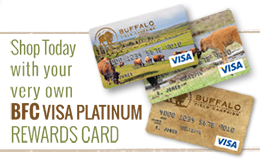 Protect the Endangered Species Act to Help Wild Buffalo! Spend Summer in Yellowstone! Outreach Volunteers Needed! Seminar on Protecting Indigenous Rights, Grizzly Bears, Wolves, and Buffalo! Grant a Wish for BFC! TAKE ACTION! Buffalo Bills Moving Quickly Through the Montana Legislature! Defeat HB 132! Contact Montana State Senators Today! In Honor of Rosalie Little Thunder: $10,000 Matching Grant! The Little Story of Silver ~ Replacement Patrol Car Needed! Last Call: Art & Photo Submissions Wanted for 2020 Wild Bison Calendar! Vote for "Our National Mammal" in the Berlin Lift-Off Film Festival! Save the Dates! Week of Action Coming Up! Art & Photo Submissions Wanted for 2020 Wild Bison Calendar! 01/24/19 - Bison Bills Pending, Photo Submissions Wanted, and More! 01/17/19 - Multiple Action Opportunities to Help Wild Buffalo! Great Outreach Opportunity for You! Help Spread the Word to Save the Herds! Get Your 2019 Wild Bison of Yellowstone Country Calendars Before New Year's! 01/10/19 - Multiple Action Opportunities to Help Wild Buffalo! 12/20/18 - Save the Dates! Week of Action Coming Up! Listen! BFC's Mike Mease on Audible Cafe Podcast! 12/13/18 - BFC Featured on Muse Ecology Podcast! 11/29/18 - Report from IBMP Meeting & New Take Action! TAKE ACTION! Tell Congress to Get USDA APHIS out of Bison Management! We're Almost There! Help Us Meet Our Matching Grant Goal! Thanks for an Incredible 2018 West Coast Road Show! They're Here! 2019 Wild Bison of Yellowstone Country Calendars! Available Now! BFC Represents in Lawrence, Kansas. A Geddy Lee Report. 10/04/18 - Last Days of BFC Road Show & Grizzlies Score Huge Victory! BFC West Coast Road Show 2018: Two Shows Left! VICTORY! Yellowstone Grizzly Bears Regain ESA Protections! Back to School and Back to the Buffalo! BFC West Coast Road Show 2018: Spreading the Word to Save the Herds! Raven Redbone Interviews BFC's Mike Mease on "Make No Bones About It"
BFC West Coast Road Show 2018 Starts Saturday! BFC Celebrates Temporary Victory for Yellowstone Grizzly Bears! BFC Joins in Rally for Wolves, Grizzly Bears, and Buffalo!